Palestine- a piece of land on the eastern shore of the Mediterranean Sea. For many years Palestine was the home of the Palestinian people: Muslims, Christians and Jews who lived in peace and harmony for hundred of years. In the late 19th century, in the light of emerging European nationalism, a few Jews had decided that Jews should not be left out. They then invented the notions of: ”Jewish people”, ”Jewish history” and ”Jewish nationalism”. They decided to settle the majority of world Jewry in Palestine. Throughout the years the Jewish national project, i.e., Zionism, had become more and more sinister and ruthless. In 1949 70% of the indigenous Palestinian population had already been ethnically cleansed. Nowadays the majority of Palestinians are living behind barbed wire in a state of terror guarded by Israeli soldiers. Jews- the people who happen to identify themselves as Jews. Jews are not a race, they do not follow a single belief system either. I made myself a rule. I categorically refrain from dealing with ”the Jews” as a collective or an ethnic group. Instead I restrict myself to criticism of Jewish politics, Jewish ideology and Jewish identity. Judaism- one of the many religions practiced by the Jewish people (Jews for Jesus, Jews For Buddha, Jews For Allah and so on). Though Judaism contains some non-ethical aspects and teachings, the one and only peace-seeking collective amongst the Jewish people is actually a religious orthodox sect, namely Torah Jews. This fact is enough to make me very careful when criticising Judaism as a religion. When dealing with Judaism, I would restrict myself to criticism of interpretations of Talmudic racism and the biblically orientated Zionist genocidal plunder of Palestine. Jewishness- Jewish ideology, the interpretations of the meaning of being a Jew by those who regard themselves as Jews. Jewishness is the core of Jewish identity, it is a dynamic notion. It is hard to pin down. While refraining from criticising Jews (the people) and Judaism (the religion), elaborating on Jewishness is a must, especially considering the crimes committed by the Jewish state in the name of Jewish people. As long as the Jewish state is shelling civilians with white phosphorous, it is our ethical duty to question: Who are the Jews? What does Judaism stand for? What is Jewishness all about? Palestine vs Israel- Palestine is a country, Israel is a state. Palestinians- currently the longest lasting sufferers of racist colonial abuse and state terrorism. Palestinians are the only true indigenous inhabitants of Palestine. 4,300,000 Palestinian refugees are scattered in the Middle East. There are Palestinians who managed to hold onto their land yet are denied equal civil rights, others live under military occupation. The Palestinian cause is largely the ethically grounded demand of the Palestinian people to return to their own land. The land that belongs to them and to them alone. The Palestinian cause is the demand to dismantle the Jewish state and to form a State of its Citizens instead. Zionism- the national colonial practical interpretation of Jewish ideology. It asserts that Jews are entitled to a national home in Zion (Palestine) at the expense of the Palestinian people. Zionism is a colonial racist philosophy that practices genocidal tactics. It is a biblically orientated precept. Although Zionism portrayed itself initially as a secular movement, from the very beginning it transformed the Bible from a religious text into a land registry. Israel- the Jewish state is a racist political concept. It is a place where Jewish supremacy is celebrated in an institutional manner. 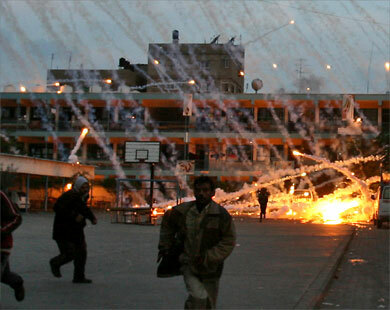 Israel is a place where 94% of the population supports dropping white phosphorus on innocent civilians. Israel is the place where Jews can pour their vengeance on the Goyim. Palestinian resistance- the exercise of the ethical right to resist an invader, an ethnic cleanser and a racist. Demographic bomb- Israel possesses many bombs, cluster bombs, petrol bombs, atomic bombs, WMD bombs, etc. The Palestinians have only one bomb, the demographic bomb. The Palestinians are the majority of the people between the Mediterranean Sea and the Jordan River. This fact itself defines the temporal quality of the Idea of Jewish state in Palestine. Zionism vs Jewishness- it is difficult or maybe even impossible to determine where Zionism stops and Jewishness begins. Zionism and Jewishness establish a continuum. As it seems, Zionism has become the symbolic identifier of the contemporary Jew. Every Jew is identified by himself and others in reference to the Zionist compass (Zionist, anti-Zionist, oblivious to Zionism, love Zionism but hate Israel, love Israel but hate falafel and so on). Secular Judaism and Jewish Secular Fundamentalism- secularity has been a very popular precept amongst Jews in the last two centuries. The Jewish form of secularity is very similar to rabbinical Judaism. It is fundamentally monotheistic, it believes in one truth (God is dead until further notice). 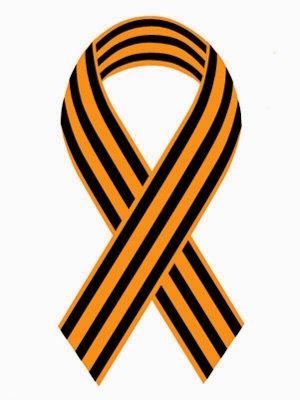 It is supremacist, it is extremely intolerant of others in general and Muslims in particular, it even promotes wars in the name of enlightenment, liberalism, democracy and even in the name of the victims to come. Pre-Traumatic Stress Disorder- the kind of mental state that leads 94% of the Israeli population to support air raids against civilians. Within the condition of the Pre-Traumatic Stress Disorder (Pre-TSD), the stress is the outcome of a phantasmic event, an imaginary episode set in the future; an event that has never taken place. Within Pre-TSD, an illusion pre-empts reality and the condition in which the fantasy of terror is itself becoming grave reality. If it is taken to extremes, even an agenda of total war against the rest of the world is not an unthinkable reaction. Unlike the case of paranoia, wherein the sufferer is subject to his own symptoms, in the case of Pre-TSD the sufferer actually celebrates his symptoms while others are left with the role of the audience or even victim. The sufferers of Pre-TSD within the press and media lobby for global conflict. Once they are in power they just spread death around. They manage to see a threat in almost anything. The Pre-TSD sufferer would call to flatten Iran, he would defend the IDF military campaign in Gaza for his own existential fears. The Pre-TSD sufferer is rather predictable and for one reason or other always to be found in the non-ethical cause. Jihad- the struggle to improve one's self and society. Jihad is the attempt to reach a harmony between the self and the world. It is there to bridge the gap between self loving, loving self and the love towards others. Jihad is the answer to chosenness. Holocaust- an overwhelmingly devastating chapter in recent Jewish past. It would be difficult to imagine the formation of the Jewish state without the effect of the holocaust. Yet, it is impossible to deny the fact that Palestinians ended up paying the ultimate price for crimes that were committed against the Jews by other people (Europeans). Hence, it would make sense to argue that if Europeans feel guilty about the Holocaust, they better take extra care of its last victims, i.e., the Palestinians. The Meaning of the Holocaust- the Holocaust provides the Jews and others with two obvious lessons. 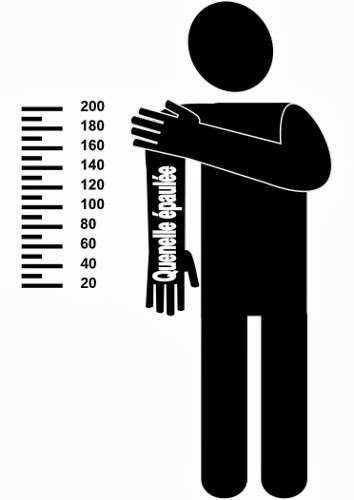 One is universal and almost simplistic, it says: ”NO to racism”. As some Jewish intellectuals predicted after the war, Jews were supposed to lead the fight against racism. Seemingly, it didn’t happen. Not only did it fail to happen, but the Jewish state had become the ultimate form of racist practice. Three years after the liberation of Auschwitz the newly formed Jewish state brutally ethnically cleansed the vast majority of indigenous Palestinians. As time goes by, the Jewish state doesn’t try to disguise its racist agenda, i.e., Jews only state. The second lesson that can be drawn out of the holocaust is far less abstract, it is actually very pragmatic. It suggests to Jews ”to be aware of their deed”. It suggests to Jews ”to act ethically, or at least to pretend to do so”. Seemingly, this lesson is totally ignored. In the Jewish state young IDF soldiers wear T-shirts depicting pregnant Palestinian women caught in the crosshairs of a rifle, with the disturbing caption "1 shot 2 kills". In the Jewish state, civilians had been caught picnicking watching their army dropping unconventional weapons on their Palestinian neighbours. The Israeli reality and the forceful Jewish lobbying around the world portray a complete dismissal of any ethical judgment or moral conduct. Whether it is the genocidal practice against the Palestinian people or the lobbying for more and more global conflicts. If the meaning of the holocaust would have been internalised, different appearances of such inhuman behaviour would have been addressed and tackled. Hamas- political party that was elected in 2006 by the Palestinian people in Gaza and the West Bank. Since then Israel has withheld payments owed to Gaza, causing the Palestinian economy to collapse. It has blockaded Gaza for months, starving the civilian population. And yet, Hamas proved once again that the Palestinian people are resilient. In spite of Israel’s genocidal tactics, in spite of the IDF targeting children, women and the elderly, Hamas’ popularity increases by the day and more so especially after the last Gaza conflict. It has now become clear that Israel does not possess the means of combating Islamic resistance. In other words. Israel’s days are numbered. Gatekeepers- for many years the Palestinian solidarity discourse had been shattered by those who claimed to know what is right and what is wrong. They also claimed to know what should be discussed and what subject must be dropped. Initially, gatekeepers tried to recruit the Palestinian movement to fight antisemitism. Another bizarre agenda was to use the Palestinian people as another Guinea pig in a dogmatic socialist exercise. Antisemites- in the old days, antisemites were those who didn’t like Jews, nowadays, antisemites are those the Jews don’t like. Considering the growing chasm between the Jewish state and its lobbies and the rest of humanity, we have good reason to believe that before not too long, the entirety of humanity will be denounced as antisemitic by one Jewish lobby or another. Antisemitism- a misleading signifier. Though it refers largely to anti-Jewish feelings, it gives the impression that these feelings are racially motivated or orientated. It must be clear that Jews are not a race and do not establish a racial continuum. Thus, no one hates the Jews for their race or their racial identity. Self loving- the belief that something about oneself is categorically and fundamentally right, moral and unique. This is the secular interpretation of being chosen. Self Hatred- the belief that something about oneself is categorically and fundamentally wrong, immoral and ordinary. This state of being may also be a point of departure of a spiritual ethical quest. Chicken Soup- is what is left once you strip Jewish identity of Judaism, racism, chauvinism, White Phosphorous, supremacy, cluster bombs, secularity, Zionism, Israel, intolerance, Nuclear reactor in Dimona, cosmopolitanism, genocidal tendency, etc. The Jew can always revert to chicken soup, the iconic symbolic identifier of Jewish cultural affiliation. The Jew is always more than welcome to say: ”I am not religious nor am I a Zionist, I am not a banker, nor is my name Madoff. I am not a ”Labour friend of Israel” nor I am a Lord or look like a cash machine. I am just a little innocent Jew because my mama’le used to feed me with chicken soup when I was slightly unwell.” Let’s face it once and for all, chicken soup is not that dangerous (unless you are a chicken). My grandmother taught me that it was very healthy. In fact I tried it once in winter 1978, I had the flu then. It helped, I feel better now. Did you know that Israel attacked Sudan in January? There were some reports and rumors before, but now the quasi official New York Times confirms the story. So after bombing Syria Israel also bombed Sudan. Makes me wonder which country is next. Iran probably. Whatever maybe the case, it is quite clear that Israel does not give a damn about international law or public opinion. Clearly, Israel's rulers realize that keeping up a facade of compliance with civilized norms of international relations has become utterly futile. Following years of criminal behavior which peaked with the building of the Wall and the rampage in Gaza, Israel has totally given up on trying to maintain an appearance of respectability. That, in itself, is an admission of defeat, a sign of weakness. Long gone is the myth of Leon Uris' like heroic Zionists who came to "make a desert green" ("an land without people for a people without land"). The Israelis now openly behave like baseball bat wielding skinheads who "proudly" display their hatred and violence. Their rabid racism and contempt for the rest of mankind is now fully in the open, "out of the closet" so to speak. Good. Combine that with the Rahm Obama Presidency and the prognosis is clear: much, much worse to come. Soon. Can anyone even imagine the worldwide outrage if, say, Iranian snipers had been seen with such T-shirts with the Muslim woman replaced by a pregnant Jewish Haredi woman? If one picture speaks a million words, then this one says it all about the Israelis, their visceral racism and their genocidal dreams. One can only marvel at the fact that it takes an Israeli newspaper to cover this story while the rest of the corporate press piously looks away (in search of a possible resurgence of a "new anti-Semitism" I suppose). 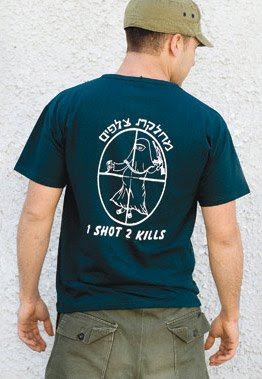 These kind of T-shirts are distributed among Israeli troops with the full knowledge of their commanding officers. So if this is not quite official policy, it is most definitely not seen as disruptive, slanderous or otherwise unbecoming an Israeli solider. This T-shirt is not an aberration, quite to the contrary, it is a new trend (remember the Israeli "tourists" who were visiting special "viewing sites" from which they could drink cold drinks and observe the wholesale destruction of Gaza?). Clearly, the vast majority of Israelis have gone rabid and with the Netanyahu forming the next government we can expect the worst. "On an especially cold Jerusalem night I heard Bird playing "April in Paris" on a radio program. I was knocked down. It was by far more organic, poetic, sentimental and yet wilder than anything I had ever heard before. Bird was a fierce libidinal extravaganza of wit and energy. The morning after, I decided to skip school, I rushed to the one and only music shop in Jerusalem. I found the jazz section and bought every album that was on the shelves. 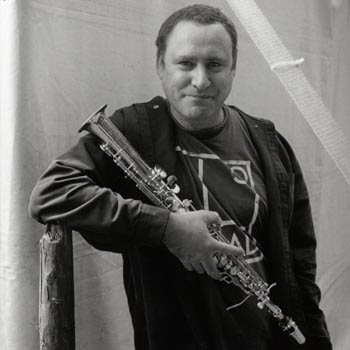 It was that moment when I fell in love with jazz, it was that moment when I fell in love in America"
Gilad Atzmon's latest album entitled In Loving Memory of America might well be the best album Gilad has ever recorded (and God knows Gilad recorded plenty of good music in the past). This latest album, however, stand apart from all his previous recordings. The album is recorded with the Sigamos String Quartet (Ros Stephen and Emil Chakalov on violins, Rachel Robson one the viola and Daisy Vatalaro on the cello). His usual band (keyboard player Frank Harrison, bassist Yaron Stavi and drummer Asaf Sirkis) is also present. This unique combination of a jazz band with a string quartet will immediately reminds jazz fans of another famous jazz album: Charlie "Bird" Parker's "With Strings". Gilad's reference to Bird's album is also shown through several of the pieces also recorded on "With Strings", including the nostalgic and very moving "Everything Happens To Me" which begins Gilad's new album. "In Loving Memory of America" is not, however, simply a re-recording of Bird's pieces: seven of Gilad's best past compositions are intertwined within Parker's jazz standards. What is amazing is how well these various compositions are blended together. For example, the third track on the album, Gilad's "musiK", is followed by "What Is This Thing Called Love" which is also present on Parker's recording. Gilad's version is, however, very different, slower, far more deliberate and tense, and it eventually "resolves" into Gilad's very moving "Call Me Stupid, Ungrateful, Vicious And Unstable" which begins with an almost Piazzolla-like opening with the strings supporting a lamentful exposition by Gilad's clarinet. Gilad's use of the strings if far most complex and sophisticated than Parker's. The latter saw them mainly as a support for his instrument, whereas Gilad uses them much more as an interlocutor to his own phrases. Again, the figure of Piazzolla immediately comes to mind. 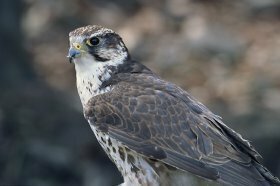 In fact, while Bird is the obvious reference, Piazzolla is the esoteric figure standing behind much of the lyricism and drama present in Gilad's latest album. Still, hints of this hidden filiation can even be found amongst Gilad's key musicians. Ros Stephen, for example, has played for many years in the tango quartet Tango Siempre. And can you guess who did many of the arrangements of "In Loving Memory of America"? The very same Ros Stephen, of course! 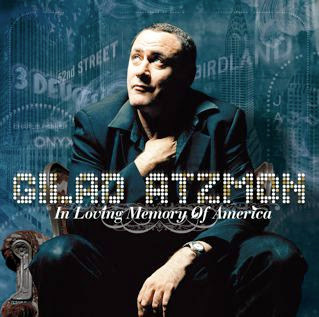 Still, for all the references found in this album, "In Loving Memory of America" is Gilad's album first and foremost. As John McLauglin likes to say, jazz musicians are "Thieves and Poets", and Gilad is not exception. Still, the poetry of Gilad's album is definitely uniquely his. Most importantly, it is Gilad's pain at seeing what the America of his youth has turned into which forms the basso continuo of this unique to this album. One could ask whether the America of Gilad's youth every existed. I would say that it definitely did, if only in the hearts of those who listened to jazz music - America's beautiful gift to the world -in their youths. Gilad's music is a lament for the loss of this (mostly, but not exclusively, imagined) America, and it is a tribute to all those who share that pain today (one can think of all the jazz musicians who, with Charlie Haden, recorded the album Not In Our Name). Call it a much belated loss of innocence of poets and artists (the "bleeding hearts and artists" as Roger Waters would, no doubt, call them) , if you want, but somebody had to weep for this America the beautiful and jazz musicians did. Music is probably the most sublime form of art because it allows to directly convey the the listener emotions which very often cannot be expressed in words. In this sense, it is also the most abstract art. The paradox, however, is that music and, in particular, jazz music is - or, at least, should be - also extremely subversive. Emotions are, after all, probably the most powerful element of one's personality and, therefore, one of the most powerful influences on our thoughts and actions. In the booklet which comes with the album, Gilad writes: I do realise that ‘things have changed’. I do grasp that Jazz is not exactly a form of resistance anymore. It is not even a revolutionary art form. Maybe. Maybe not. But I don't believe that Gilad would ever have been capable of releasing such a powerful album if he did not feel that somebody out there was listening, feeling and understanding. The very fact that he did release this album is therefore an act of revolutionary resistance. Sometimes, the emotion-idea is given rather directly, like in Gilad's piece "Refuge" which begins with a tension building Middle-Eastern melody which abruptly transforms itself in an African sounding explosion of joy. One could be forgiven for instinctively thinking of the collapse of the Apartheid regime in South Africa and the precedent this sets for the last Apartheid-like regime left on this planet: the "Jewish state" of Israel. Sometimes, the emotion-idea is far more subtle, like in Gilad's "In The Small Hours", but no less powerful. The entire album feels like a "painful embrace", painful because of the immense sadness it expresses, but an embrace nonetheless, because of the shared love it conveys to its audience. This mixture of seemingly contradictory feelings is yet another feature common to Gilad Atzmon and Astor Piazzolla. I sometimes think of it as "wise sadness" or "peaceful pain". It is this amazing capability for art to sublimate pain - or even agony- and to transform them into energy, beauty and hope. There is one thing which Parker's and Gilad's albums definitely have in common: being deceptively easy to listen to. These albums need to be carefully listened to many times before they reveal all their nuances and subtleties . This is particularly true of Gilad's album which is, in many ways, a more complex and more multi-layered creation than Bird's more "straightforward" recording. Two things should, in particular, be mentioned here: the very elegant and sophisticated arrangements and the very minimalist yet absolutely superb playing by Frank Harrison on the piano and, in particular, on the Fender Rhodes (a sound which I regret not hearing more often). "In Loving Memory of America" is the kind of album which you can listen to for hours and days at a time without ever getting bored or feeling that you got enough of it. It is intoxicating and addictive as only the very best jazz albums ever are. You can already order the album on Amazon in the UK, at Jazz CDs or, for those living in the USA, pre-order it at CD Universe. Either way - get the album. It is truly a masterpiece. When people across America, whose lives have been shattered and destroyed, come to realize the true face of the global "free market" system, the legitimacy of the Wall Street, the Federal Reserve and the US administration will be challenged. In the last months of the Bush administration, prior to the November 2008 presidential elections, the Department of Defense ordered the recall of the 3rd Infantry's 1st Brigade Combat Team from Iraq. The relocation of a combat unit from the war theater to domestic front is an integral part of the Homeland Security agenda. The BCT was assigned to assist in law enforcement activities within the US. This Act may be cited as the ‘National Emergency Centers Establishment Act'. (2) EMERGENCY- The term ‘emergency' has the meaning given such term in section 102 of the Robert T. Stafford Disaster Relief and Emergency Assistance Act (42 U.S.C. 5122). (3) MAJOR DISASTER- The term ‘major disaster' has the meaning given such term in section 102 of the Robert T. Stafford Disaster Relief and Emergency Assistance Act (42 U.S.C. 5122). (4) MILITARY INSTALLATION- The term ‘military installation' has the meaning given such term in section 2910 of the Defense Base Closure and Realignment Act of 1990 (part A of title XXIX of Public Law 101-510; 10 U.S.C. 2687 note). The Israel lobby gets its man—and tips its hand. Charles Freeman Jr.’s withdrawal of his acceptance of a high-level intelligence position in the Obama administration was a national-security drama more riveting than an episode of “24.” The moral was clear: even a president who owes his job to a progressive movement in American politics could not support a longtime public servant who had made the mistake of criticizing Israel. Fierce advocates of the Jewish state, notably Sens. Chuck Schumer and Joe Lieberman and Reps. Eric Cantor and Steve Israel, played important roles in Freeman’s exit, while present and former officials of the American Israel Public Affairs Committee flitted in and out of the wings. I believe that the inability of the American public to discuss, or the government to consider, any option for U.S. policies in the Middle East opposed by the ruling faction in Israeli politics has allowed that faction to adopt and sustain policies that ultimately threaten the existence of the state of Israel. It is not permitted for anyone in the United States to say so. Freeman’s ability to say so to a wide audience was electrifying and unique. His charge was soon mentioned in the chief boroughs of liberal opinion, National Public Radio, the Washington Post, and the New York Times. Time’s Joe Klein called his exit “an assassination,” and The Atlantic’s Andrew Sullivan said it was a “scalping.” Unlike countless other incidents in which American policy on the Middle East has been compromised behind closed doors, this time the Israel lobby was seen fleeing the scene of the crime. The drama began on Feb. 19, when the Foreign Policy blog reported that Blair, a retired Navy admiral, was planning to name Freeman to chair the National Intelligence Council, which sorts out the reports of the many intelligence agencies and presents them to the White House. In 2007, one of its assessments, concluding that Iran had halted its nuclear-weapons program following the invasion of Iraq, chilled the neoconservative drive to attack Iran. “No one has ever made the case that it’s a primary policy-making role,” says William Quandt, the longtime expert on the Middle East. Freeman is hardly a cipher. An outspoken and formidable thinker firmly in the realist camp, he spent four decades in the State Department marked by his poise in the presence of heads of state. In 1972, at age 29, having mastered Mandarin, he was saving Richard Nixon, whom he regarded as “totally lacking in personal grace, with no sense of the proper distance to keep in human relations,” from embarrassment with Zhou En-Lai on the famous trip to China. Twenty years later, as an Arabic speaker, he was interpreting George H.W. Bush—a fellow Yaleman and blueblood who fixed his name forever as “Chas”—to King Fahd as ambassador to Saudi Arabia during the Gulf War. Freeman is a throwback. He celebrates his Puritan roots and the idea of wide historical reading for its own sake. He is also completely dedicated. He lost his third son in India because of poor medical treatment. He lost a 30-year marriage in Saudi Arabia during the long hours of the Gulf War. “Frankly I was hoping to see him become a secretary of state,” says Edward Kane, a former CIA official who heads the Cosmos Club’s program on foreign affairs. The American Jewish community, which had always been extremely suspicious of people who trafficked with the Arabs … became increasingly hostile to Arabists in the State Department. It essentially became difficult, if not impossible, for Foreign Service officers dealing with the Arab world, or with the Middle East generally, to take anything other than a stance that was assertively loyal to causes espoused by the Israelis… By the ’80s, as AIPAC … achieved the transcendent influence in the Congress that it did, there was an atmosphere of intimidation, worthy of the McCarthy era, in many respects, imposed on Arabists. Following his retirement from government in 1995, Freeman took over from George McGovern as head of the Middle East Policy Council, a think tank that gets Saudi support and seeks to educate Americans about the Arab and Muslim world. Freeman made no secret of these views at the Middle East Policy Council. After the cancellation of the Dubai ports contract in 2006, he denounced the political class for exploiting the popular prejudice of “Arabophobia.” Soon after, when the London Review of Books published Stephen Walt and John Mearsheimer’s bombshell essay on the Israel lobby, Freeman unapologetically celebrated the scholars. At least Rosen was straightforward about his concern with Israel. The same cannot be said of the pack that followed him. They focused on the money that the Middle East Policy Council receives from Saudi Arabia and several cold-blooded statements that Freeman had made justifying Chinese repression in Tiananmen Square and Tibet (which his supporters attempted to dignify, not always persuasively, as “realist”). The group included Gabriel Schoenfeld at the Wall Street Journal, Jonathan Chait and Martin Peretz at The New Republic, Jeffrey Goldberg at The Atlantic, and Michael Goldfarb at the Weekly Standard. All Jewish, all supporters of the Iraq War, which Freeman vigorously opposed. The focus on the China and Saudi connections is typical of the Israel lobby’s work. While it quietly spreads the word about its ability to take scalps, it does not like to do so publicly. That might force Americans to debate the slaughter in Gaza or the ongoing oppression of Palestinians in the West Bank. Far better for Freeman’s critics in Congress—notably Joe Lieberman in the Senate and Eric Cantor, Shelly Berkley, and Mark Kirk in the House—to talk about Saudi Arabian money, which was never an impediment to Hillary Clinton’s appointment to be secretary of state, though her husband’s library was showered in it. The fight dragged on for nearly three weeks. Freeman’s critics circulated e-mailed comments he had made about China on a foreign-policy listserv, and eight congressmen, including House Minority Leader John Boehner, called on Blair to investigate Freeman’s links to Saudi Arabia. Blair wrote back that Freeman had his “full support” and said that he “has never received any income directly from Saudi Arabia or any Saudi-controlled entity.” He defended him against angry questioning by Joe Lieberman on the morning of March 10. But by then, several Republican senators were demanding answers from the White House. Dianne Feinstein reportedly called for a meeting of senators with Freeman. He was gaining endorsements from influential journalists like Andrew Sullivan and James Fallows, but no congressman was lifting his head above the melee to support Freeman. This is where I differ from Chas Freeman’s new friends. Years ago, he understood that the Israel lobby produced secret resentment among its victims throughout Washington. More recently, John Mearsheimer told me that Israel’s critics are engaged in a kind of “mortal combat” in which career and reputation are at stake. Having long battled the Israel lobby, these men have no illusions about how it operates and still dare to speak out. Others—for instance those who say that it just controls Congress, not the White House—are now awaking to its methods. This is the great lesson, and even joy, of Chas Freeman’s mugging. A lobby operates best as a “night flower,” Steve Rosen once said. The Freeman takedown happened in broad daylight. Sunshine means everything in a democracy. Now the diverse political forces who want to change our Mideast policy can find one another. Speaking to this magazine two days after his withdrawal, a reflective Freeman framed the episode as a chance to educate Americans. He only regretted imprecision—that he had blasted the lobby rather than doing more to emphasize the reflexive organizational American support for the policies of the right-wing Israeli government. 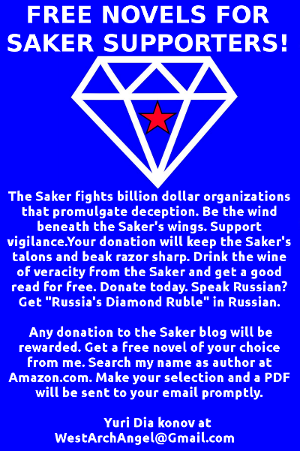 I am interested in seeing the survival of a humane and not a thuggish Jewish state in the Middle East. I am interested in finding ways of coming to grips with the fact that the perpetrators of the Holocaust and those who halted it accept Israel’s right to exist, but in the region in which it does exist, no one accepts its right to exist. That’s the problem we must overcome. Philip Weiss blogs at www.philipweiss.org/mondoweiss/. The remarkable hegemony of Zionists in US -- and by implication -- world politics continues unabated, as demonstrated starkly by the withdrawal of Chas Freeman as United States President Barack Obama’s nominee to chair his National Intelligence Council (NIC). Jews have more of a tradition of being liberals and supporting Democrats. But nowadays, more important than shades of pink are the Zionist colours one flaunts, and no US politician, left or right, dares to buck the Zionist tide. Whether or not Freeman -- or any other US public figure -- is Jewish is now a moot point. So it is not really so important to point out that Obama’s closest advisers are Jewish, such as his chief of staff Rahm Emanuel, his veepee’s chief of staff Ron Klain, senior advisor David Axelrod, and his domestic cabinet members Timothy Geithner, Lawrence Summers, Paul Volker, Peter Orszag, and Jason Furman and Jamie Rubin. It is more to the point to emphasise that they are Zionists one and all, including his WASP veepee Joseph Biden (“You don’t have to be Jewish to be a Zionist”) and Secretary of State Hillary Clinton. The waning of Jewish liberalism and the growing irrelevance of tribal affinity in American politics began with the rise of the neocons under president Ronald Reagan and is reflected in Democratic Senator Joe Lieberman’s endorsement of Republican John McCain for president in 2008. That Lieberman was not expelled, and managed to retain his chairmanship of the Senate Armed Services Committee, shows who’s in control. Zionists are the essential second leg that Obama stands on, along with his imperial support. As Democratic Caucus chairman, Emanuel helped make sure that 60 per cent of Democratic congressmen and virtually all the senators will continue to support the occupation of Iraq and Afghanistan , with the possibility of an attack on Iran still on the table, despite that fact that 60 per cent of Americans (80 per cent of Demcrats) are against such policies. Emanuel served in the IDF during the 1990 Gulf war, which would have resulted in his arrest and the end of his political career if he had been involved in any other country’s war as a foreign soldier. His father was a member of the terrorist organisation Irgun and no doubt murdered dozens of Palestinians fighting to protect their homeland. “Rahm-bo” also knocked on doors for AIPAC as a student in the 1980s in AIPAC’s successful effort to unseat former Republican congressman Paul Findley just because he was for balance in US Middle East policy. Ironically Zionism has become a bit of a dirty word around Washington , and the Jewish press prefers to brag -- in the words of former president Clinton counsel Abner Mikvner -- that “Barack Obama is the first Jewish President.” Whatever epithetic is used, Israeli political leaders, too, brag about their clout at the highest levels of US politics. Israeli prime minister Ehud Olmert crowed about his telephone call to president George W Bush in January 2009 -- interrupting him in the middle of a speech -- to insist that secretary of state Condoleezza Rice vote against her own Gaza ceasefire motion in the UN Security Council. Jewish chutzpah celebrates the November 2008 US elections, where more Jews were elected than ever -- 10 per cent of congressmen, four times their proportion in the population. This leaves aside the fact that more than 90 per cent of congressmen and senators vote for all motions concerning Israel which are approved, if not formulated, by AIPAC. Other brave souls include Norm Finkelstein, author of Beyond Chutzpah: On the Misuse of Anti-Semitism and the Abuse of History, Jimmy Carter (Palestine: Peace not Apartheid), Mearsheimer and Walt (The Israel Lobby and US Foreign Policy. Whether or not their efforts mark the beginning of a decline in the Zionists’ hegemony is yet to be seen. That their power is still formidable was brought home by the Freeman debacle. “The tactics of the Israel Lobby plumb the depths of dishonor and indecency and include character assassination, selective misquotation, the willful distortion of the record, the fabrication of falsehoods, and an utter disregard for the truth. The aim of this Lobby is control of the policy process through the exercise of a veto over the appointment of people who dispute the wisdom of its views,” writes Freeman. Fighting the Zionists is not easy. Jewish scholars like Finkelstein argue that Zionists generally refuse to answer the content of critiques of Israel , invariably reducing the argument to an ad hominem attack, questioning the legitimacy of the critic, as they did with Freeman. Finkelstein was personally the target of their wrath, losing his university tenure battle due to their protests that he was too impartial. Where ad hominem is not enough, they merely ignore valid criticisms and relying on control of the public discourse, including laws forbidding anti-Semitism, racism or slander, to bury the issue. Dozens of Jewish and overtly Zionist lobby groups throughout the US monitor all school and university teaching content, regularly denouncing critics and lobbying for their dismissal. As part of the campaign to vilify Islam, David Horowitz organised “Islamofascism Awareness Week” (IFAW) on close to a hundred college campuses in October 2007. At Michigan State University, the campus chapter of Young Americans for Freedom invited a bona fide fascist -- Nick Griffin, the head of the British National Party -- to speak on how Europe is becoming “Eurabia”. IFAW is now an annual event, with seminars on jihad and Islamic totalitarianism. But there is a silver lining. Formerly schemes to control the discourse took place behind the scenes. Steve Rosen, who led the attack on Freeman, says, “A lobby is like a night flower. It thrives in the dark and dies in the sun.” That Rosen is now indicted as a spy, that the Finkelstein, Mearsheimer and Carter books even saw the light of day, and that Freeman was able to blast the lobby so witheringly in the WSJ suggest that broader US society may be awakening to the devastation that the Zionists have wrought on America. The Case Against Israel's "Right to Exist"